ASK US ABOUT OUR DELIVERY DISCOUNT! 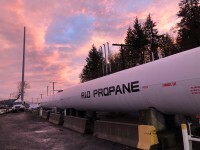 R&D Propane is your family owned and operated propane service company, providing satisfaction, with honesty and integrity from Eugene, Oregon. 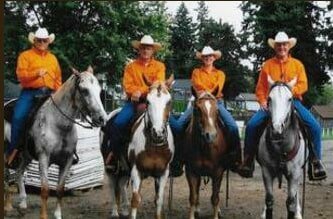 Our clients in Lane, Benton, Linn, and Douglas Counties have been provided with exemplary service since 1982. Our staff are trained, licensed and certified. Along with propane delivery, propane tank sales and rentals, we provide assuring safety inspections and leak tests, at no additional charge. You can count on us to go above and beyond to cater to your needs. Our staff will often light customer's pilots at no charge or check an appliance before an expensive appliance repairman is called, for what may be an easy fix. We are here for all your propane needs, and ready for your call! R&D Propane was started in 1982 by Ray Engeman and has continued being family operated with son, Bruce Engeman now CEO. Many of our customers have been with ​us a long time and are like family. Our customers are not just an account number or simply a delivery but a neighbor and a friend, we care about. We may be a little old fashion because we still believe a handshake means something and that helping your neighbor is the right thing to do. We want to be available and affordable for all our customers. We participate in the low-income energy assistance program and provide budget payment plans. Call us to find out how we can help find the best terms and solutions available for you.